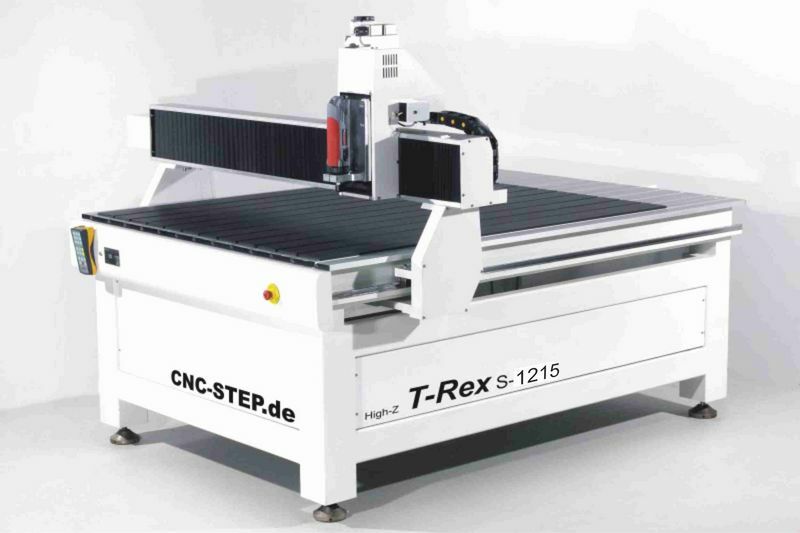 Professional 2D/3D machining with the T-Rex CNC mill. 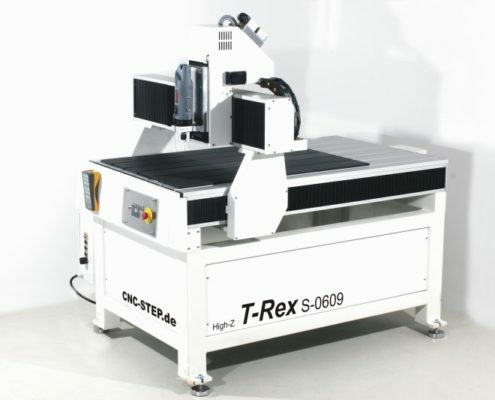 The T-Rex is specially optimised for the 2D and 3D milling, cutting, drilling and engraving. The big worktop makes the machine perfect for milling panels. No matter if you want to mill, cut or engrave the material. The machine is well known for its precision during each. 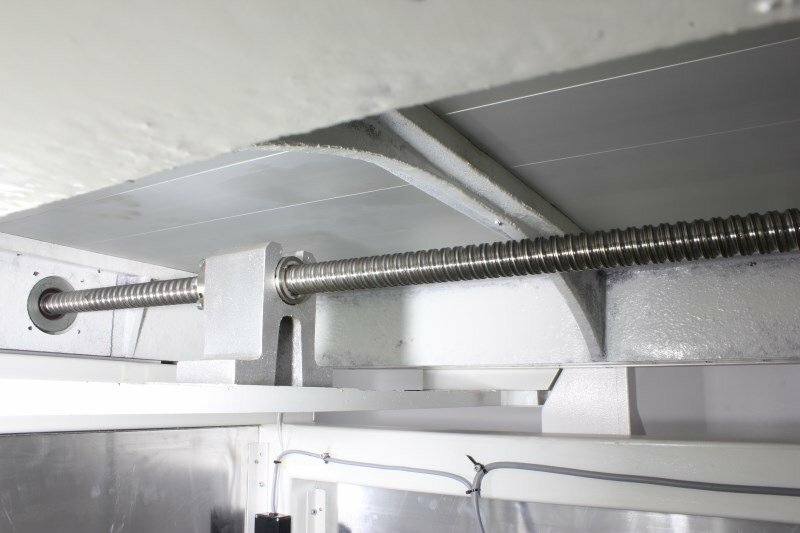 The CNC mill comes with a solid steel frame, high-quality ball screws on each axis and HIWIN linear guidings. 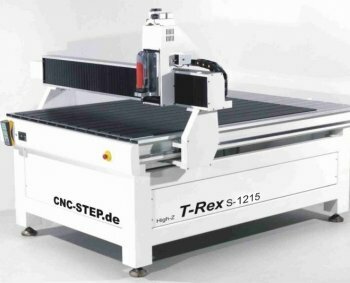 The CNC mill T-Rex with a steel frame (type 0609 and 0712 even with solid cast steel frame, all other tubular steel frames) is now available for your operation, precise and exceedingly fast! 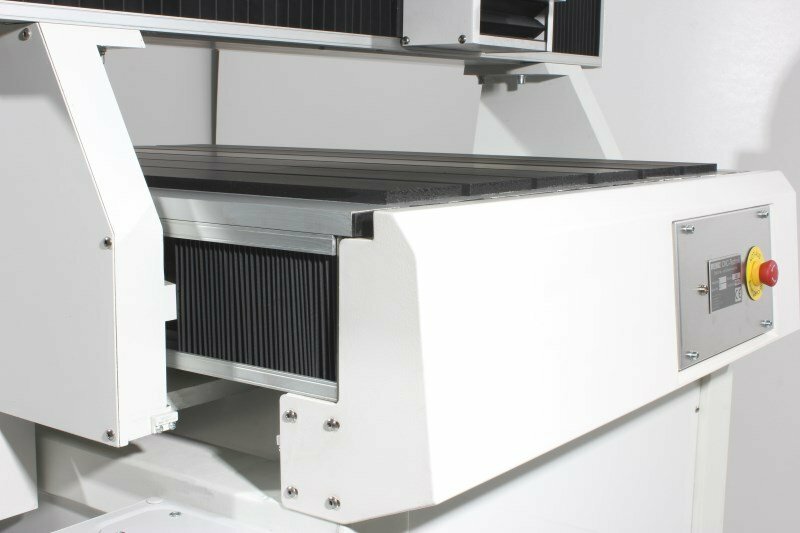 The CNC router serves as a connecting link between our small, accurate High-Z machine and the big RaptorX-SL milling machine. It is stable, accurate and solid built – Best quality in the minutest details. 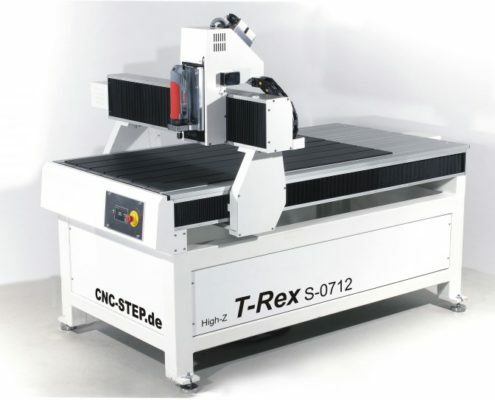 The T-Rex is the first machine which we developed in cooperation with a foreign company. 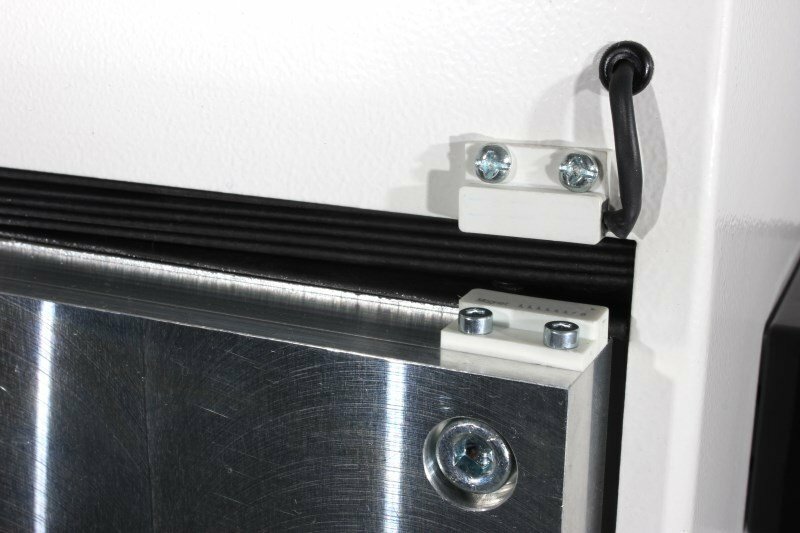 The steel frame and some technical components are parts from suppliers which we inspected and tested with our high-quality standards. 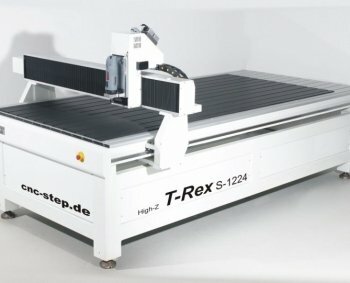 Buying a T-Rex CNC mill you get a high quality machine with well-tried technology. Optimal dimensioned THK and HIWIN linear guidings, ball-screw drives, brushless engine technology and a solid massive steel frame-substructure, plus torsion-free and high-class craftsmanship at low price-level are the main features of this machine series. 3 brushless drive motors with 4,5 ampere. Linear guidings on the X and Y axis by HIWIN / THK ! 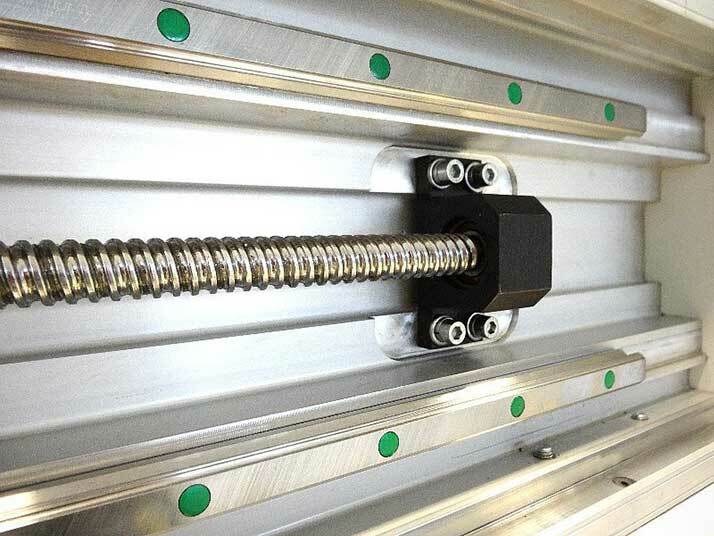 Z-axis diameter 16 mm round-linear guiding, all smoothened and 61hrc surface hardened. CAD/CAM Software ConstruCAM-3D (full version incl. post-processor for KinetiC-NC and WinPC-NC). Complete machine incl. 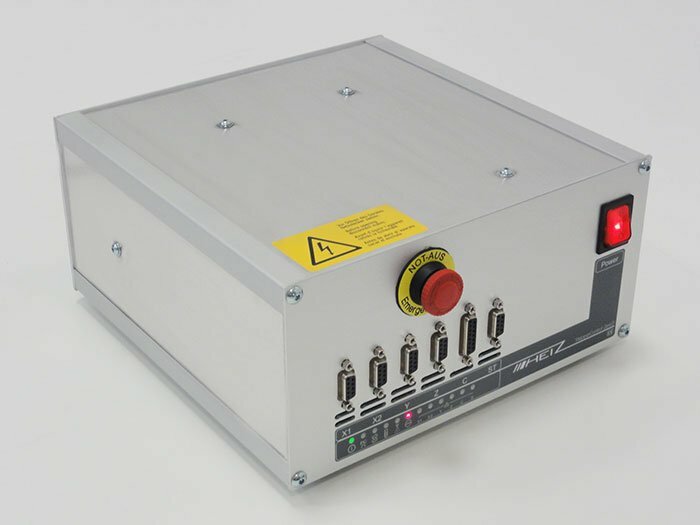 5 channel control 4 x 3,5 ampere, T-slot panel, wear plate, remote control, software ConstruCAM-3D, KinetiC-NC with CncPOD. 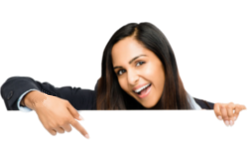 An introduction, unlimited phone-support as well as our Live support/remote maintenance via Teamviewer for a lifetime are always included in this complete unit. An approximately 2-hour introduction with the installation of the software on your PC, brought with, as well as an explanation of the most important terms of ConstruCAM-3D, WIN PCNC, Corel Draw etc. are also possible and obviously for free. Line voltage 115 – 240 Volt / 47 – 63 Hz. Activation of 2 users up to ca. 1200 Watt via software switchable (from WIN PCNC Light), 230 volts, max. 6,0 A per power socket (for example compressor, cooling system, suction). Both power sockets secured separately. Other accessory parts like spindles etc. 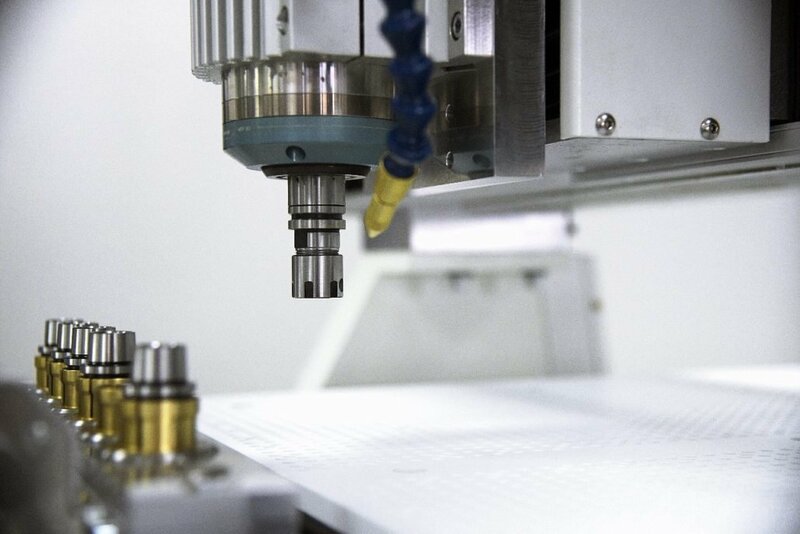 What is a CNC mill? What is this machine type used for? 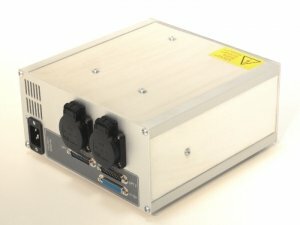 Which software is suitable for working with a milling machine? Which points are important when buying a CNC controlled mill? 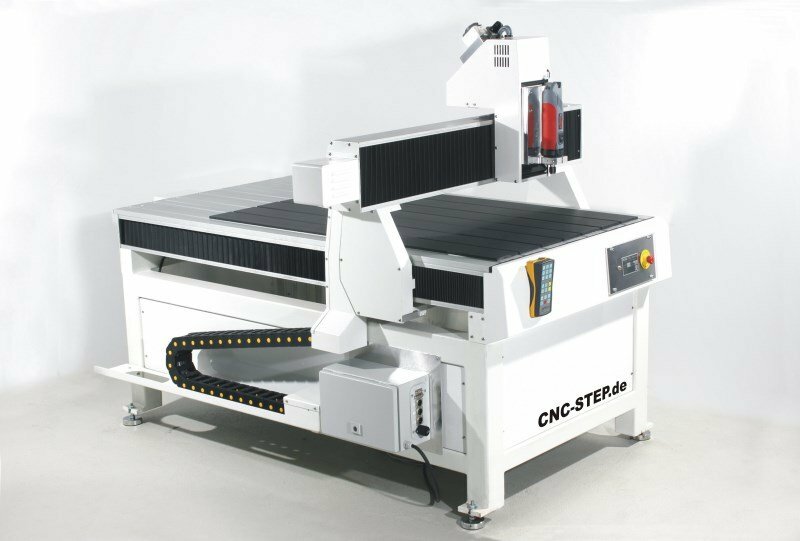 A CNC mill discribes as the name indicates, a particular building type of a milling machine. Here, the X-axis is arranged horizontal, the Y axis vertical, and the Z-axis perpendicular on the two other axes, which together results in a so-called portal. Some portal milling machines have multiple milling heads on the Z axis, in addition to the milling head on the Y-bridge, to allow simultaneous processing of all sides in one step. 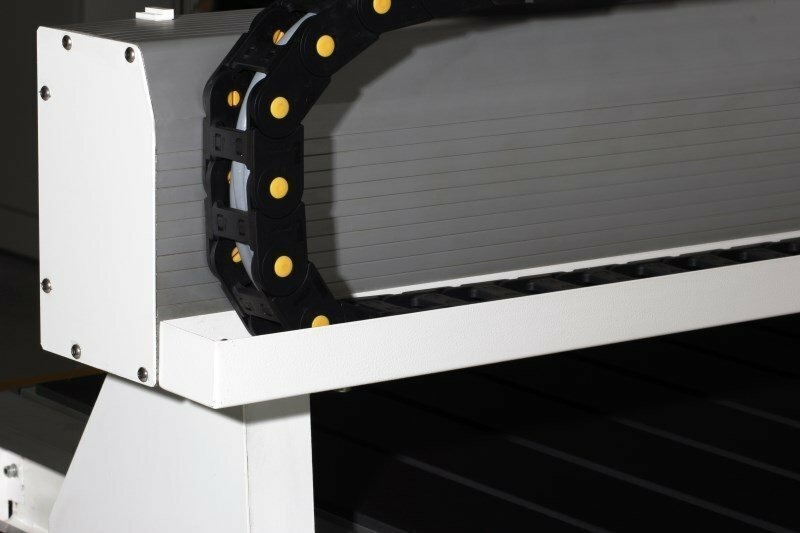 The workpiece to be machined is either mounted on a movable clamping table which moves within the portal in accordance with the desired material to be removed, or on a stationary clamping table which is traveled by the sled of the milling machine. 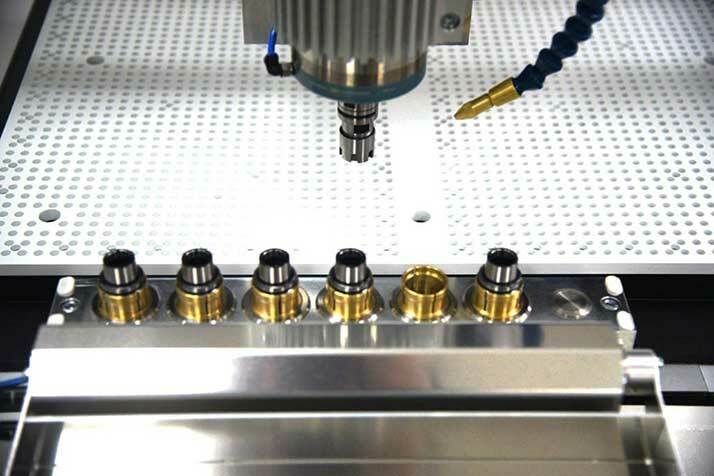 A CNC mill operates like all milling machines with a so-called control software. Things which were manually done in the past with drawing paper and pencil, happens today, with much less effort, using a PC. Thanks to modern CAD (of English. Computer-aided design) / CAM (of English. Computer-aided manufacturing) control software, it is possible to send data sets, usually called DIN ISO G-codes, of almost any shape, whether 2D or 3D, to the machine. The machine then works row by row, until the workpiece has been processed as desired. 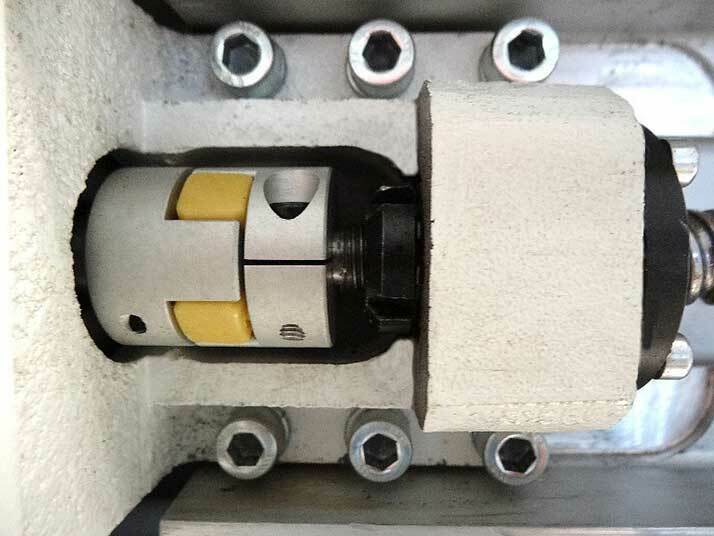 Ready is your customized workpiece. 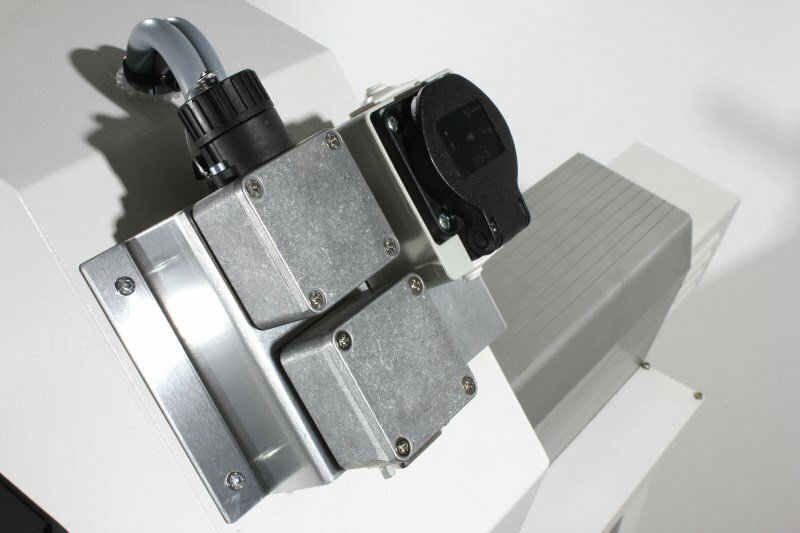 The better all components are matched to one another, the more efficient and accurate a CNC mill will work! It is recommended to contact a milling machine manufacturer or vendor for the purchase of a portal milling machine,offering for example free support even after purchase. This ensures that any initial difficulties, during incorporation into a control software are technical supportet by experienced staff, in order to avoid additional, high costs. This makes the start much easier and cheaper! Alternatively, there is also free 3D CAD software. When I decide to buy a portal milling machine, it may be important to pay attention to the following. 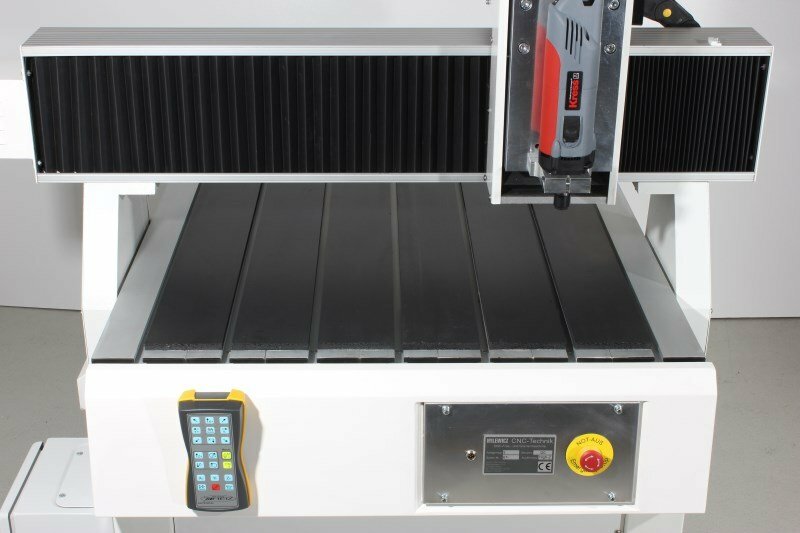 Which points are essential when buying a CNC mill? What type of material do I want to process and how hard is it regarding the engine power of the milling motor? Hard or soft? Heat sensitive? What are the maximum sizes of my workpieces concerning the size of my desired milling machine? Which quantities do I want to manufacture in one operation? 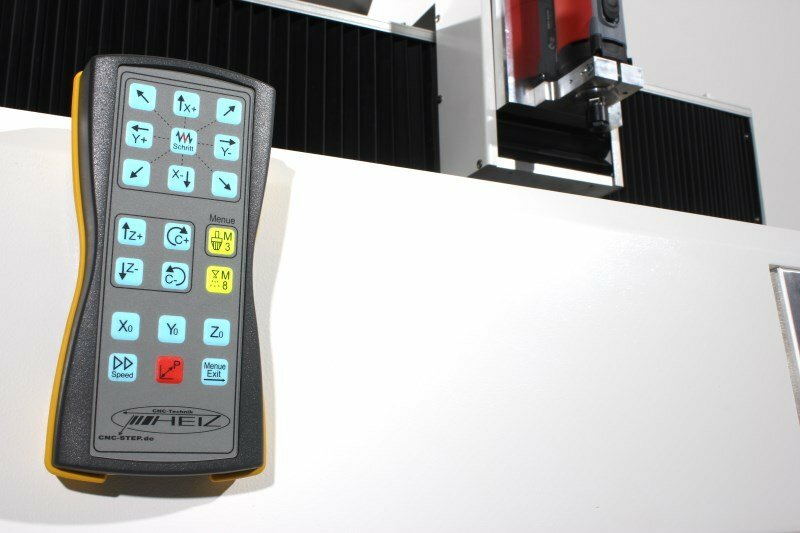 How exactly do the features of my chosen portal milling machine match the needs of my workpiece to be processed? Do I feel well advised? Do I get expert support even after purchasing, possibly even free? The more precisely you can define the requirements of the desired machine before buying, the more accurate a competent seller can offer the right machine, and then the more precise the milling results will be achieved. In a professional, experienced company, you will always have a trained technician and / or seller.